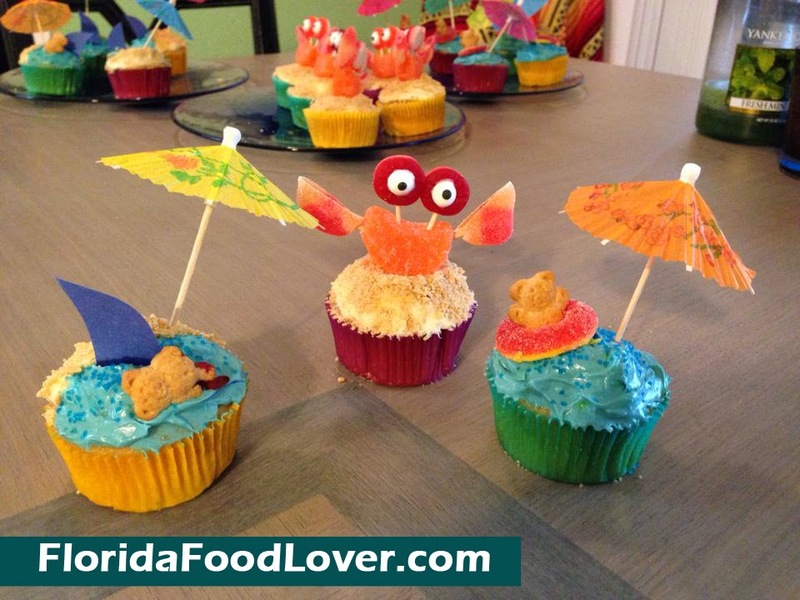 I have so many recipes & restaurants I’ve tried in the past that I want to share, so for this Throwback Thursday, I want to share a cupcake recipe from a Luau party I threw last September. I shared photos of these cupcakes on Pinterest and they’ve had hundreds of re-pins! I’ve hosted a bunch of girls’ nights with my friends in the past, but I think this one was my favorite since everyone really got into the theme. 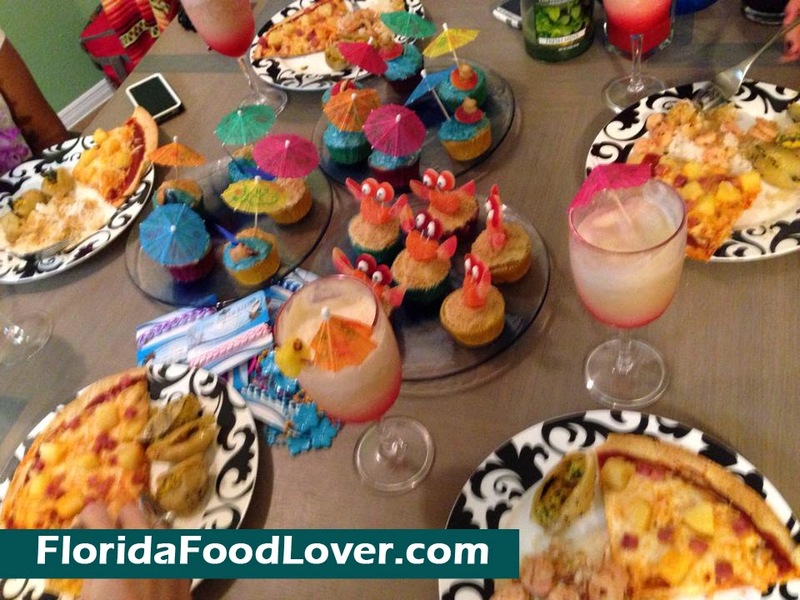 It was a Hawaiian potluck – I made piña colada shrimp (I’ll post that recipe another time!) 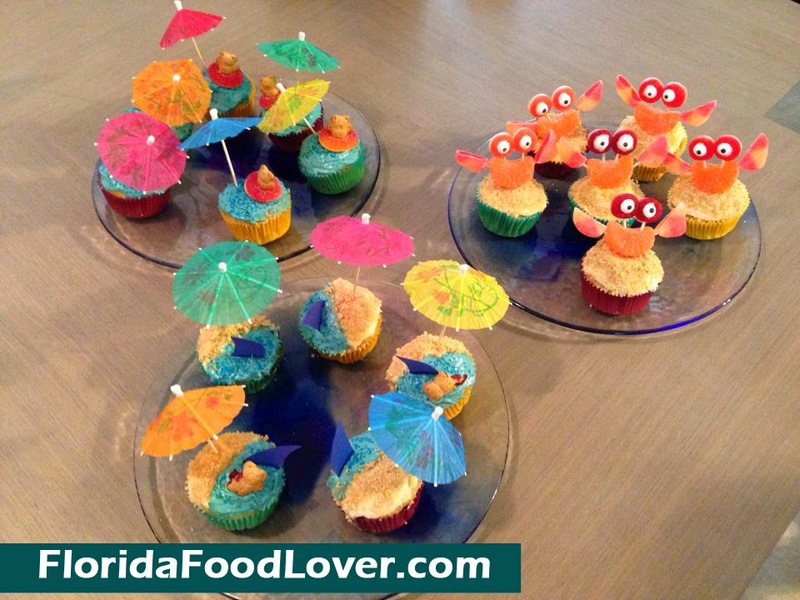 and for dessert, I made fun tropical cupcakes. Crabs on a Beach - I added some crushed graham crackers to look like sand. 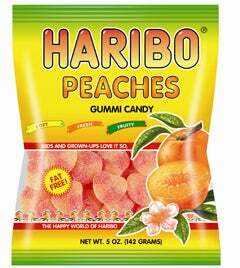 The crabs were made of several gummy fruits held together with toothpicks – an orange gummy for the body, peach slice cut in half for claws, and Lifesaver’s gummies for eyes. 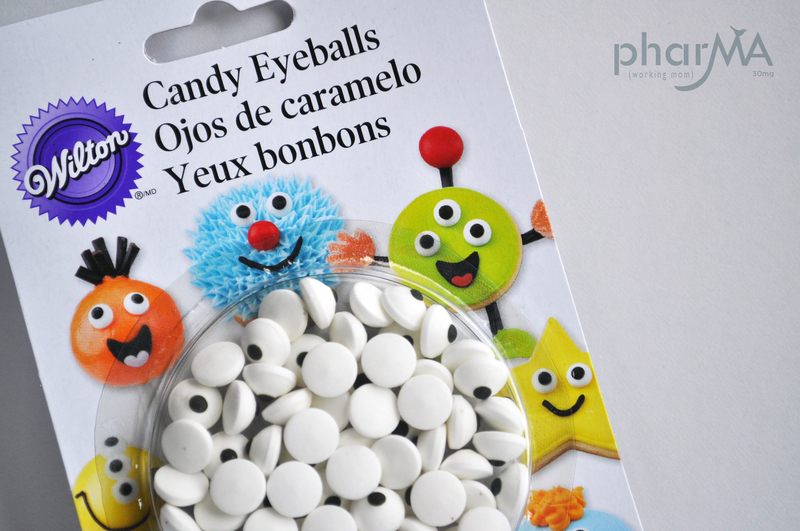 I used some royal icing/edible glue to attach candy eyes to the Lifesavers. 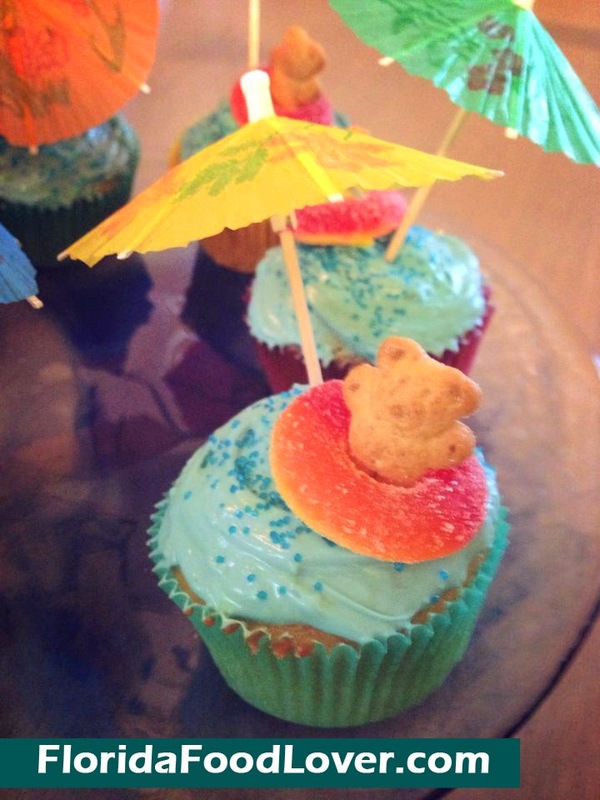 Bear in an Inner Tube – I dyed some of the frosting blue for water and added some blue sugar sprinkles and a mini umbrella. The teddy graham is floating in a peach ring. 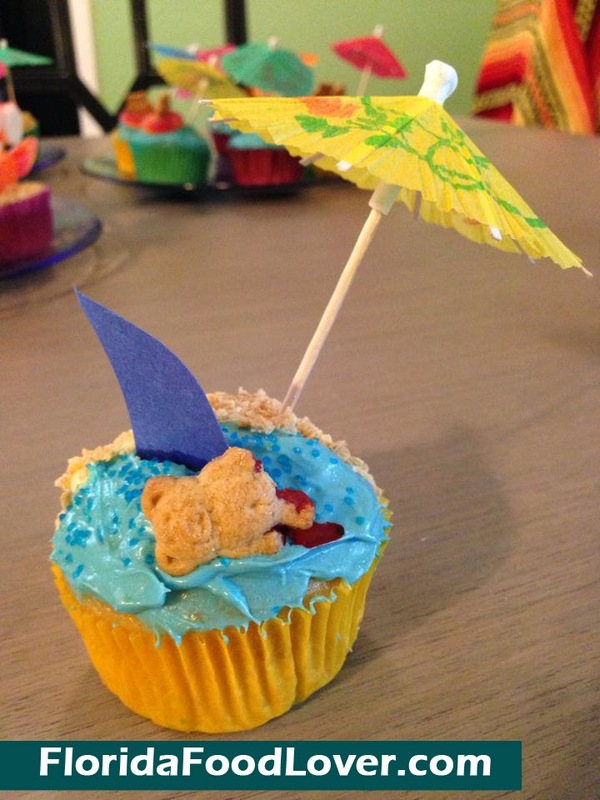 Shark – I covered the cupcake with half graham cracker crumbs and half blue icing. I added an umbrella on the sandy side of the cupcake. The shark is cut out of blue construction paper. Some of the shark cupcakes were a little bit morbid because I added teddy grahams to a few of them with missing limbs and drops of red food coloring. 1. Preheat oven to 350. Line cupcake pan. 2. Beat together melted butter, pineapple juice, rum and vanilla. Add eggs, one at a time, mixing until well blended. 3. In a separate bowl, blend flour, sugar, baking soda, baking powder and salt. 4. With mixer on low speed, add dry ingredients to wet, gradually. Fold in pineapple and coconut. 5. Fill liners 3/4 of the way. Bake 20-25 minutes. Bring sugar and water to a boil over med-high heat. After 2 minutes, add Malibu, vanilla and butter. Let cook 3-5 minutes more until syrupy. Combine all ingredients except sugar using a hand mixer. Add powdered sugar gradually to desired sweetness and consistency. 8. Decorate them however you want!